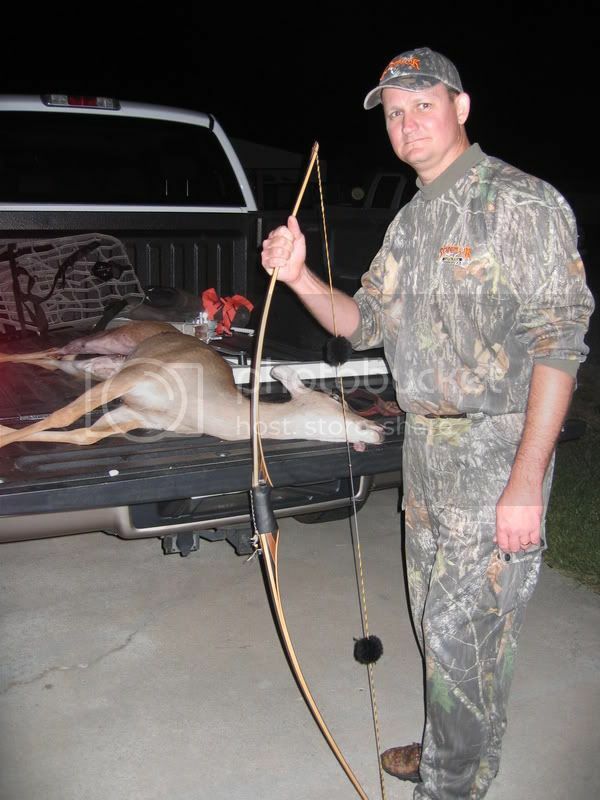 Stated with a doe 20 yards with my 56 lb Dwyer long bow. 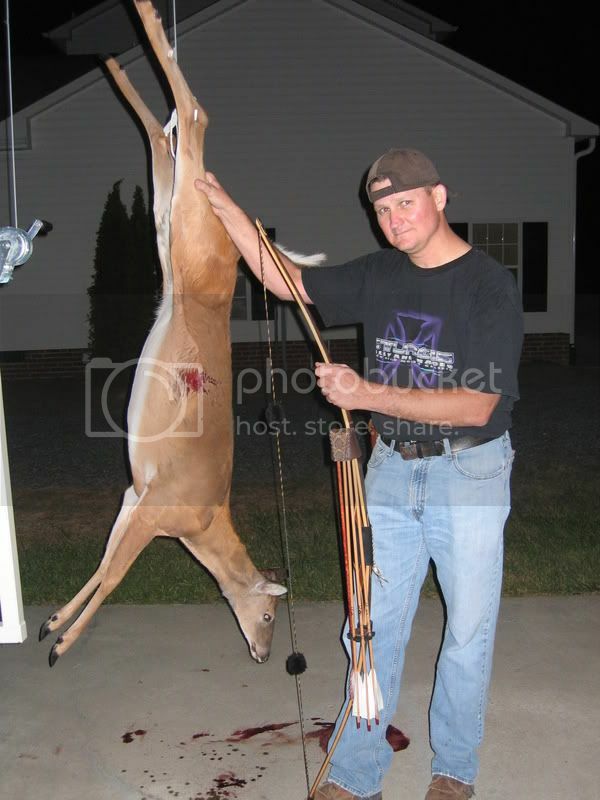 My second doe 12 yards with a 65 lb Dyyer longbow. 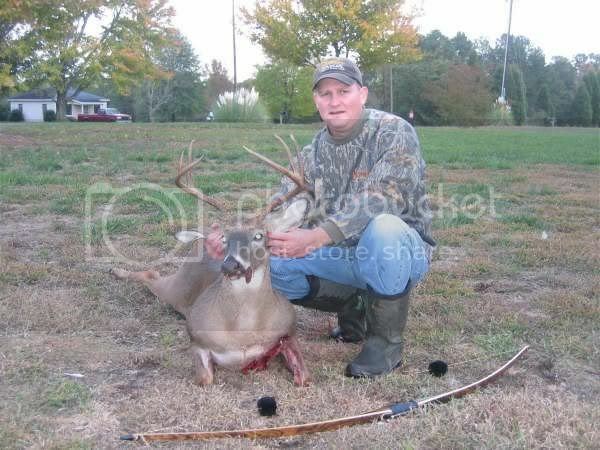 My first buck with the long bow. Dwyer 65lb 64" long at 28 inch draw. Wow, your having a good year brother! 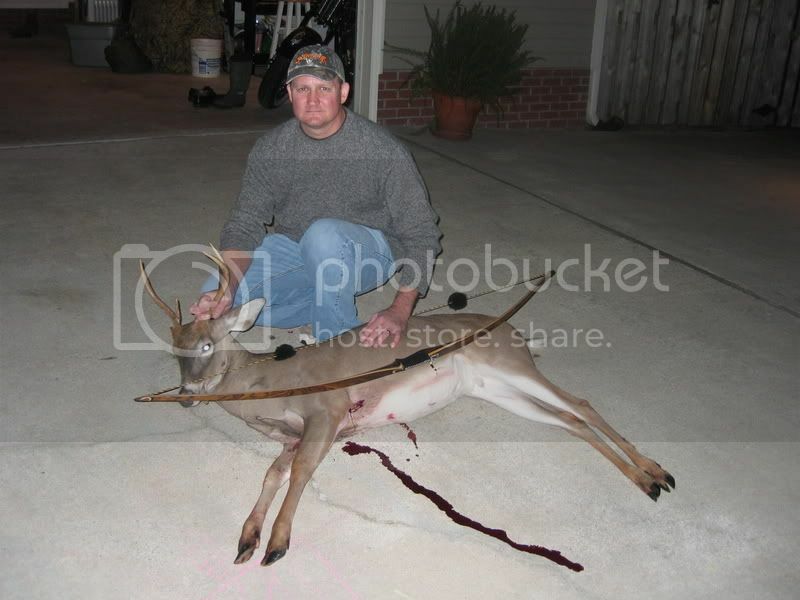 Very nice deer!